Chapter 11 will also be released tonight..
A girl stepped into the courtyard. She was dressed in a blue mini skirt. She had a pair of round, expressive eyes and healthy brown skin color. Her long ponytail shook as she walked. But, it was her plump upper body and long, slender legs that made her such an attractive woman. She angrily walked into the courtyard with a blue leather whip in her hand.. This girl was Mu Chen’s nineteen-year-old daughter, Mu Ling. She enrolled in the Royal Wudo College at age eighteen, her Wudo has reached Zi Fu Fourth Sky. She was a beautiful girl and a Wudo talent, and thus many big families came to the Mu Family to propose marriage every year. However, she is hot-tempered, and once she even whipped a pursuer until he was badly bruised. No one in the Mu Family would want to mess with her. ‘Sister Ling.’ Mu Feng smiled at her. ‘Mu Qing, why are you here?’ Mu Ling scolded, her finger pointing at Mu Qing like a dragon lady. He explained and rushed out quickly with his three servants. Mu Kuang stood up. His face was swollen and bruised. Mu Feng stepped forward and held onto him to keep his body steady. ‘Are you OK?’, Mu Ling asked. Mu Ling took out a small white bottle, poured some green liquid out and applied it to his face. Its cooling effect relieved the pain and Mu Kuang felt much better just in a few seconds. ‘Why are you back?’ Mu Feng asked, as she is supposed to be in the Royal Wudo College now. ‘I came back to see you.’ She replies. 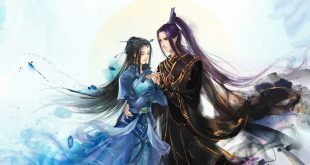 Mu Feng and Mu Ling had a very close relationship, they were like siblings. ‘Well, your swelling will be reduced soon.’ She cleaned her hand with a handkerchief while speaking to Mu Kuang. Mu Kuang replied shyly as his face turned red. He then left the courtyard. Mu Ling bit her lips and asked Mu Feng. Hearing it, Mu Ling’s eyes watered, she then went close to hug and console him. She knew how sad and pained Mu Feng had felt since his father died, now his Qi passageways were broken and the Yun Family had also called off his marriage. Whenever Mu Ling thought about what he was been going through, her heart hurts. Mu Feng joked again, pretending he didn’t know. Mu Ling smiled controlling her tears. She had a worried look. She knew how hard it was to obtain this panacea, maybe finding even one in the whole kingdom of Nan Ling would be considered lucky. A bright smile appeared on his face. ‘He is so positive’, Mu Ling thought, however her heart ached looking at him. He had no mother since he was young, now he has lost both his father and his Wudo practices. ‘Wait, maybe there is someone who can help!’ She suddenly thought of someone, simultaneously making a decision in her mind. On the other hand, Mu Feng changed the topic and talked about other things. He did not her to worry anymore. While at this moment, inside a huge and luxurious mansion guarded by armored soldiers on the other side of the city, a man dressed in a silk robe was standing in the garden, feeding a rare canary in a cage. He was Nan Hao, the Prince of the kingdom of Nan Ling. A young man with a long beard and high cheekbones was standing beside him. Nan Hao asked while feeding the canary. Nan Hao said with murderous intent.